​Emily Law is a contemporary dancer, street dancer, and emerging choreographer. She graduated from The School of Toronto Dance Theatre and The Etobicoke School of the Arts. She has trained and competed in house dancing and waacking. 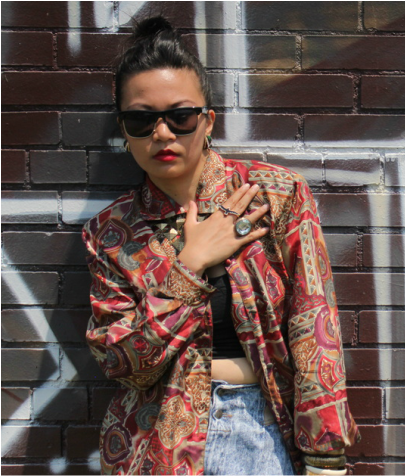 Emily is a founding member of Mix Mix Dance Collective, the Toronto house dance crew Warehouse Jacks and Parks N’ Wreck. Emily has had the pleasure of working with companies and artists such as: Kaha:wi Dance Theatre, The Dietrich Group, The Chimera Project and Alias Dance Project. Her choreographic work has been showcased on companies and in festivals such as: Toronto Dance Theatre, The Next Stage Theatre Festival, Toronto Fringe Festival, CanAsian Dance Festival, The Reel Asian Film Festival, Guelph Dance & Fall For Dance North. She has been nominated for two Dora Mavor Moore awards, a Gemini, & the 2017 Premier’s award. Also, she recently represented Canada in the hip hop category at Jeux de la Francophone with Mix Mix Dance Collective in Abidjan. Ashley Perez "Colours" is a dancer, choreographer and entrepreneur making waves in the Canadian dance scene. Training in funk styles and hip-hop, she later specialized in voguing, waacking and house with mentors Archie Burnett (New York), Caleaf Sellers (New York), Jojo Zolina (Vancouver) and Kaiti Dangerkat (Calgary/New York). Ashley is the Co-artistic director or Mix Mix Dance Collective with whom she has co-created two full length works and recently represented Canada at 2017, Jeux de la Francophonie in Abidjan. With Mix Mix, she was a resident artist at York Woods Library and presented a new work at Fall For Dance North in October. Ashley was a resident choreographer and performer with the artist collective House of Dangerkat. Developing works that allowed her to travel and perform in places such as New York, London & Paris. Kristine Flores' started dance at the age of 8 training in ballet and jazz. Although that was short-lived, her passion for dance continued as she developed a love for the style of hip-hop. After completing her degree at York University in Kinesiology, Kristine decided to pursue her love of dance more intensely by traveling to cities such as Montreal, New York, and Los Angeles to further refine and study not only the style of hip hop but also house and waacking. Along the way, Kristine was able to compete in street style battles such as Juste Debout and Bust-A-Move as well as becoming a member of Twisted Ankles Dance Crew and the house dance collective Warehouse Jacks. Not just restricting herself to the street dance scene, Kristine continued to show off her versatility by performing in many corporate and stage shows such as the Mirror Awards, PRIDE, CBC HipHop Summit, Monsters of Hip Hop, LG Fashion Week and Choreographer’s Ball as well having the opportunities to dance for artists Captain Hooks, Famous, and Victoria Duffield. Aside from performing and showcasing the Toronto street dance community through initiatives like Five Eight and Parks N’ Wreck, Kristine continues to spread the knowledge that she has gained through teaching classes and workshops in and around the GTA and continues to forever be a student of dance. She was integral to building the emerging Toronto Hustle community and continues to teach and organize events as part of Warehouse Jacks and Parks N’ Wreck. Sarah Tumaliuan has shared dance with many communities, organized a public streetdance event under Parks N’ Wreck, and has been involved with many leading national arts outreach agencies such as BluePrintforLife/BluePrint Pathways (Hip Hop outreach in remote Canadian cities and young offender centres), UNITY Charity (positive mental health in youth through Hip Hop), Projet RAD (for inclusive dance programming regardless of abilities), and KeepRockinYou (Bgirl community development). She got funky, boogied down, and grooved it out in Mix Mix Dance Collective's "Jack Your Body" at the 2014 Fringe Festival and 2015 Next Stage Theatre Festival, and again at the 2014 Guelph Dance Festival. Exploring dance through many styles she has a varied arsenal of movement language. She has most connected with urban street styles, particularly hip hop and house, and she has shared the essence of these cultures through drop-in classes at Toronto studios (The Underground, City Dance Corps, Cornerstone, Rightfoot), Gadfly community classes in Thunder Bay and Sioux Lookout, TDSB highschools with UNITY and Back2daUnderground, and dance programs (George Brown, Randolph, RSVP33). A limitless dancer who works at the nexus of public health and the arts, Sarah constantly expands her purpose as a dancer, advocating for the ways in which the arts, specifically dance, benefits individuals and contributes to healthy communities. 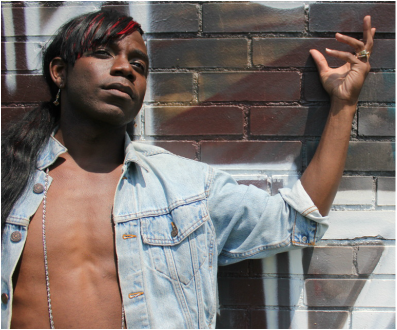 Kevin Fraser “ Diva K” currently lives in Vancouver, was born in Jamaica, and raised in London Ontario. He studied dance and various art mediums at H.B. Beal ss, Decidedly Jazz Dance Works, Alberta Ballet, Ryerson University, as well as with mentors such as Beni Ninja, Archie Burnett, Tayrn Javier, Wojtek Mochniej, and Kaiti Dangerkat. He has collaborated and worked with such notable choreographers and artists such as Kaiti Dangerkat ( House of Dangerkat), Wojtek Mochniej (WM Physical Theatre), Mad Decent Records, Benjamin Ross Hayden, Glen Co Photography, and subliminal Rabbit Presents to name a few. He has been featured in work on both a national (Vancouver, Calgary, Toronto) and International (New York City, Helsinki) level. ​Sze-Yang Lam Ade ​is a queer asian dancer, martial artist, storyteller & community developer. 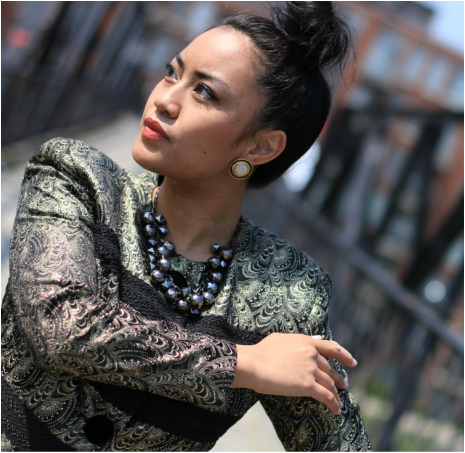 Sze-Yang shares stories through movement, for self love, empowerment, and liberation; as an independent artist, as part of ILL NANA/DiverseCity Dance Company, and MixMix Dance Collective. Sze-Yang is an advocate for change in the dance world and has been committed to creating more accessible dance education and performance opportunities for communities underrepresented in the arts since 2011. A graduate of school of TDT, Sze-Yang continues to study Ballet with Xing Bang Fu, Simon Lalonde, and Christine Wright, Wing Chun with Ryan Kennedy, Hip Hop and Street Styles. 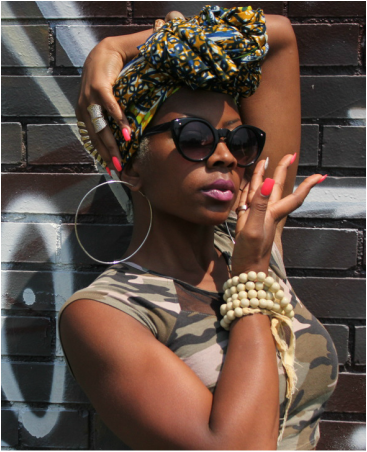 Jasmyn Fyffe is making her mark on the Toronto dance scene as a dancer, choreographer and teacher. A choreographer described as “Alvin Ailey meets street dancer,” (Allan Ferguson – Director: Nelly Furtado Music Video), her work is created within a movement style that is an eclectic blend of her versatile training background while maintaining a strong contemporary foundation. “She’s a young artist whose body of work is developing in a style all her own.” (Sway magazine – Anya Wassenberg) As an independent dancer, Jasmyn has performed in the touring musical UMOJA and has danced for Grammy Award winning artist Nelly Furtado. In addition she has worked with: Hanna Kiel, Red Sky Performance, Artists in Motion, Dance Migration, Scott Fordham, KasheDance, Calu Entertainments, Linda Garneau and international musical sensation Kirk Franklin. She has also performed twice in the Toronto Fringe Festival, and has performed in New York, Seattle, Japan and most recently in Washington DC for a Presidential inauguration event. Fyffe has been commissioned by Pivotal Motion Dance Theatre, Wish Opera, Cawthra Park Secondary School, Agincourt Pentecostal Church, Cathedral Productions, Obsidian Theatre, Dramatic Change Youth Theatre, Oakwood Collegiate Institute and Copper Coin Arts Association to name a few. Jelani Ade Lam is a Queer bodied, 2 Spirited, African, Mohawk, Pequot Indian. Jelani began extensively training in dance at the age of 17 at the United Dance Productions in Bermuda, under the direction of Suzette Harvey. Jelani has trained in hip-hop, African dance, Jazz, Modern, Contemporary dance and Ballet. Jelani is a co-founder of ILL NANA/DiverseCity Dance Company- a queer positive multiracial dance company that embraces difference as strength and aims to break down oppressive structures by sharing LGBTTIQQ2S stories and experiences through dance and movement.